As anyone with a disability knows, a disability can definitely complicate life at times—but it certainly doesn’t make life impossible. The same is true of exercising with a disability. Exercise can seriously boost moods, decrease pain, and increase flexibility and balance. In addition, using remaining abilities can help prevent the future loss of those abilities. Exercise is just as important for people with disabilities as for those without. To get an idea of the potential positive effects of exercise on a disabled person, the National Center on Health, Physical Activity, and Disability (NCHPAD) relayed the story of a young man who was wheelchair bound. He suffered from persistent pressure sores, which forced him to stay in bed while the sores healed. While in his chair, the young man was supposed to do pressure reliefs regularly to prevent more sores, but he never did. Because of this, the young man was unable to attend school regularly, and he participated very little in life. Becoming interested in exercise not only improved his physical health, but it improved his mood, mental health, and social life. In fact, a recent study even found that physical activity could improve mental function in elderly individuals with cognitive impairments or dementia. A professional can help figure out how to modify exercises to allow for disabilities. Before starting any new exercise, talk to a physician. He or she may be able to give suggestions for length of workouts, positions or activities to avoid, and perhaps even exercise ideas. A personal trainer or physical therapist can also be helpful. A physician should be able to provide a referral for a therapist. To find a personal trainer, call or visit gyms and ask if anyone there has experience working with disabled people. A quick Google search can also turn up options for personal trainers. Keep an eye out for exercise locations that offer disability-modified activities, too. For example, some yoga studios have classes in adaptive yoga. Indoor therapy pools, which are often heated and equipped with a wheelchair ramp, are sometimes open to the public. Exercising from a chair is a good option for anyone with a disability. For those with a disability affecting the lower limbs, arm exercises from a chair or wheelchair can get the blood moving. Something as simple as air-punching can help strengthen the arms. A resistance band can also be put to good use. Loop the resistance band under the chair, and stretch the arms forward and back, up and down, while holding the resistance band. Small weights are easy to use for chair exercises. Additionally, a great piece of equipment for anyone who wants to exercise the legs is a portable pedal exerciser, like these. However, this can be useful for arm exercises, too. Firmly attach the pedal exerciser to a table, and it can be used to get a great upper-body workout. To exercise the legs from a chair, simply straighten and lower the legs. Holding the leg out for a few seconds can increase the challenge, as can adding a Velcro-attached ankle weight. If the traditional types of exercise are boring or uninteresting, play some video games. Video games no longer constitute sitting on the couch for hours on end, moving nothing but the fingers and thumbs. Now, games encourage players to move around. Lots of these games can be done from a chair or wheelchair, and several are safer versions of real-life games. For example, boxing is a very intense (and dangerous) sport, but playing Wii boxing can be done sitting down and carries no risk of suffering a knockout. In fact, using video games for exercise is so effective that some school districts use these games, sometimes called “exergames,” to provide special needs children with a way to do physical education classes. Each gaming system is a little different, just as each game is different. Some systems, like the Kinect for XBOX 360, encourage players to stand and move, so that playing a soccer game is almost as intense as participating in a real-life soccer game. Other systems, like the Wii, focus mainly on arm-movements, with extra equipment, like dance pads or balance boards, that focuses on the lower body. When thinking of purchasing a gaming system or game for exercise, go to a game-focused store like Game Stop and ask the employees questions. This will ensure that the system or games are a good fit for each person and his or her disability. However, be warned: The greatest benefit of video games is also its greatest challenge. When exercise feels like a game instead of exercise, it’s all too easy to accidentally spend hours playing, which leads to seriously sore muscles the next day. 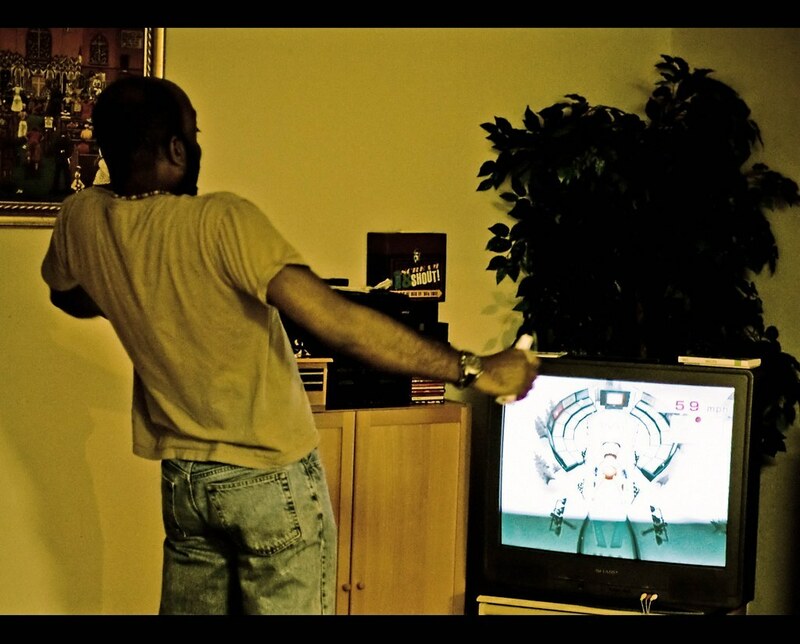 It might be a good idea to set a timer while playing video games that include exercise. There are many resources available to help people with a disability find ways to exercise. Medical professionals are often the first source for information, so be sure to ask lots of questions. Physicians, nurses, and therapists are often aware of small, local programs and opportunities that are nearly impossible to find without help. Talk to friends and coworkers, too. Nearly everyone has a friend or family member with a disability, and some might have great ideas for exercise. Also, check out the NCHPAD’s directory. Programs and organizations for people with disabilities are listed by state. Additionally, there’s a state-by-state list of equipment suppliers with equipment that can be useful for anyone with a disability. How do you exercise with your disability?